January 2011 is quickly going down as “Wakefield month” for autism followers. I’ll get to the new bombshell about an investigation turning up evidence suggesting Wakefield’s motives behind his debunked study were ethically compromised on my next post, but a move he made before then didn’t score brownie points with some experts in Minnesota. FOX 9, the Twin Cities’ FOX affiliate, reported Wakefield visiting Minnesota to recruit Somali parents for a research study that he is financing, but not conducting. Wakefield believes a cure could be found within the Somali community, believing a vitamin D deficiency from Minnesota’s dark winters could explain the rapid growth of autism among children of Somali descent. Other medical experts are concerned that Wakefield’s seeking to exploit a population still adapting to a culture they never knew existed before moving from the Horn of Africa. With Somalia in turmoil for the last 20 years, many immigrants call autism an “American disease,” with virtually no discussion of the disability in their native land. You can probably guess why if you know the country’s had no working government since 1991. While Wakefield will attract attention almost anywhere with the developments since the start of 2011, the Somali angle is far more limited as their community has only recently migrated to the United States. Minnesota has the largest Somali population, much like the haven Hmong immigrants saw when they departed from Laos following the Vietnam War. Just like Hmong immigrants needed time to absorb an environment vastly different than their own, Somali immigrants will also need time to adjust. Complicating the process are elements impossible to anticipate, and for Minnesota’s Somali community, autism happens to represent one of those elements. Having no knowledge of autism before, they parallel parents and activists who are more fiercely engaged as they struggle for answers, making them more susceptible to people with new approaches. Does that mean Minnesota Somalis are fools? Absolutely not. Despite the geographical difference, many parents will fight to the death for their children, and will not rest as they seek answers for potential issues. As Somalis continue their integration with the United States, they’ll continue adapting, learning and discovering things other citizens take for granted. Those reasons at least theorize why so few articles about autism’s impact in Minnesota’s Somali demographic have been published up to this point. Predicting the frequency or accessibility of the Somali community is virtually impossible since emotional responses cannot be simulated, but this does reinforce the fact that autism can affect anyone. FOX 9 simply took notice of national news and found a local tie that is still relatively new in regards to press coverage. How Minnesota’s Somali community responds to autism will certainly get the attention of Twin Cities journalists. How journalists report stories about my home state’s newest immigrant bloc is the bigger question. WCCO’s take on Brian Deer’s suggestion of doctored information in Andrew Wakefield’s study that concluded vaccines were a cause of autism illustrates the magnitude of the controversy. Whenever you see a local news source provide their own take on a national story, that generally means the subject is either well-known to the audience or there’s a serious need to inform the public about a potential mass impact. For WCCO, CBS’ Twin Cities affiliate, they used the recent development to explore how Wakefield’s study impacted immunizations. WCCO talked with parents of twins who wanted to be sure they made the right choice when it came to vaccinating their kids. On a broad scope, they would certainly appear to be reporting “yesterday’s news” as they tell their viewers how Wakefield’s study caused parents to put more thought into all vaccines, not just the MMR shot in Wakefield’s research. For followers of autism in the news, this story doesn’t reveal much that isn’t already known: parents pausing to consider the “what if” questions out of concern for their children, and as I mentioned in my first post on the new development with Wakefield’s study, fear is a powerful catalyst in decision-making. Logic isn’t even enough to defeat the presence of fear. 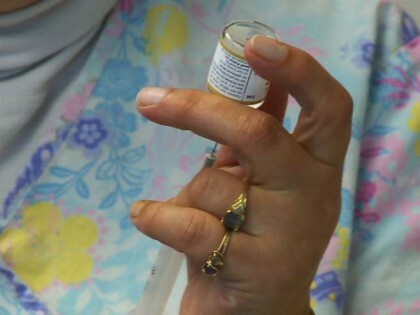 Ultimately, the parents WCCO interviewed decided to vaccinate their kids and no side-effects occurred, as they rarely do when immunizations are administered. I’ve discussed why local news sometimes gives off a lackadaisical appearance with some of their topics of interest before, and some of those reasons return in WCCO’s latest autism story. Primarily, the news producers don’t believe their audience is fully aware of autism yet, as they re-iterate what autism does to its inhabitants and that no one knows what causes the disability. Given how short a window most video packages are (news code for a story generally 60 seconds or more covered by a reporter), there’s little time to explain the finer, more complex questions currently surrounding autism. What we can learn from this story is how much attention local news producers are giving for, in this case, an international story. Few would question WCCO if they decided not to pursue a local angle to Deer’s discovery, since local TV news can’t focus on one topic for too long without risking losing audience interest. However, Wakefield’s study created huge implications, too big for most reporters to ignore. WCCO is simply doing what most of us affected by autism or worry about the disability already are, keeping an eye peeled for new leads, stories, developments and breakthroughs. The discovery of “doctored information” on Andrew Wakefield’s discredited study linking vaccinations to autism has generated a lot of publicity and fuel for news outlets, and little time was wasted in pursuing the major angles involving this week’s development. Although evidence refuting a link continues to grow, support for Wakefield and his study in question has yet to shrink. An independent survey reported 58.3% of respondents dissatisfied with research investigating a relationship conducted and/or funded by the Centers for Disease Control and Prevention (which may stem from a general distrust in government, as Congress has had dismal approval ratings for years while conspiracy theories remain abundant). 90% of those surveyed want to see studies comparing vaccinated and unvaccinated people to see if there’s a difference (Frontline addressed this issue with The Vaccine War last year). Wakefield still supports his study, first published in 1998. Jenny McCarthy’s organization, Generation Rescue, claimed the media was mischaracterizing Wakefield’s work. McCarthy was quoted on The Vaccine War saying she’d rather risk her child getting mumps than autism and is a strong supporter of reducing the number of vaccinations a child receives. Most who follow and/or studied media will tell you that media’s a popular target when news is reported that contradicts an argument for a sensitive topic. Media’s fluidity and the rapid pace news spreads certainly contribute in the present, but “blaming the media” existed as far back as Senator Joe McCarthy’s “witch hunt” of the 1950s, when he accused Edward R. Murrow of supporting Communists after Murrow published several reports with CBS on McCarthy’s activities. Jenny, while not related to the late U.S. Senator, isn’t any more immune to blowback than Joe was. The Generation Rescue statement has Twitter users taking a swipe at Jenny for a perceived lack in parenting skills. And we’re only through the first week of 2011. Imagine what the next 51 could bring to this debate. While the developments are new, the story itself hasn’t changed. 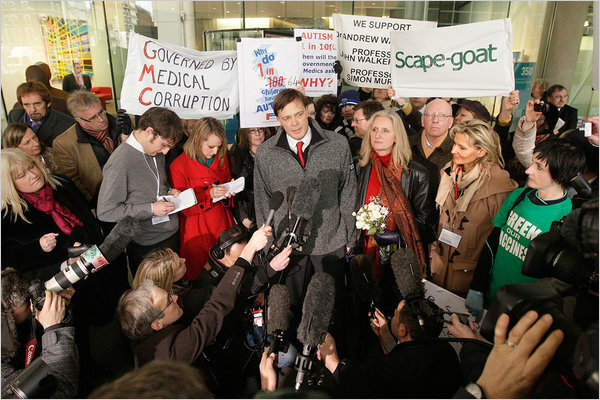 In effect, AOL News considered Deer’s research that led to his suggestion of Wakefield’s study being fraudulent represented one side of the argument; that his research is invalid because of “tainted evidence.” While I doubt any reporter would be accused of bias simply for running that story, AOL News deemed interviewing the flip side of the debate, where belief that vaccinations are responsible for causing autism, worthwhile. Deborah Huso’s article effectively illustrates what I explained yesterday about two sides of an argument always attempting to one-up each other, resulting in a never-ending debate. The other factor, of course, remains the lack of a concrete detection method. Until that day comes, the cycle of latching on to a theory that appears to make sense will continue. The most intriguing element in the vaccine debate’s latest chapter is the response toward Wakefield’s supporters. While a continuously present stream of thoughts exist on Twitter due to its nature, this is the first time I’ve seen social media used in a news story related to Deer’s investigation. While it’s technically impossible to gauge why McCarthy is taking a Twitter assault, consumers are known to grow weary over denials in the face of indisputable evidence or even an association to the contrary. Although it’s illogical to judge parenting skills based on one element of being a parent, that won’t stop opinions from being expressed online, and that in itself could indicate public perception of a controversial topic. Deer’s discovery and reaction won’t be the last chapter in the vaccine debate. In fact, the recent news has already made a local impact in the Twin Cities area (my “home base”), and I’ll examine how they approached the fraudulent data claim in my next post. Until then, expect the patterns I’ve detailed in this post to persist when a future development is published about the refuted link between autisms and immunizations. Autism’s biggest firestorm refuses to cede its flames, as The Associated Press reports an analysis of the now-discredited study linking vaccines to autism published by Andrew Wakefield was based on doctored information on how the children were involved. Brian Deer, a British journalist who made the discovery, learned that five of the 12 children in Wakefield’s study had documented developmental problems prior to receiving an MMR vaccine, which Wakefield claimed was the cause of autism in children and led to panic among parents of autistic children. Deer also noticed that all cases were misrepresented after comparing data from the children’s medical records and their parents. As you may have guessed, a huge reaction among the autism community has erupted following the report. Wakefield’s dishonesty ruling last year, from the General Medical Council, was the first bombshell that brought pause to the belief of a link between vaccines and autism. In fact, 2010 was a significant year in terms of addressing the controversy with vaccine safety. While the study is no longer considered credible, immunization rates for measles, mumps and rubella haven’t fully recovered from their lows of the late 1990s, and outbreaks of diseases once thought to be eradicated have cropped up where immunization rates decreased. However, this scientific debate persists because of emotionally charged reactions from both sides as they attempt to one-up each other to prove their argument is more valid. Fear of the unknown remains a powerful catalyst as humans often worry about things not necessarily within their control, which is one reason why this debate remains autism’s spotlight controversy. Naturally, it’s a perfect story for reporters to follow up because its energy level remains high. I’ll discuss one story that gauges the reaction from supporters of Wakefield’s study tomorrow. By the way, you’ve just read my first blog post of 2011. After taking a hiatus to focus on other assignments, I’ve returned to continue discussing autism in the news and what it means for the news. 2010 was a big year for the Autistic Journalist, where daily hits increased from 4 in 2009 to 20 in 2010. For you mathematicians, that’s a 400% increase. Yeah, not much, but increased syndication in 2010 helped spread the word about The Autistic Journalist, and I want to thank readers for their continued support. I’m no expert, but I will not rest in my goal to go beyond the surface in exploring autism and its news coverage. 2011 will be an even bigger ride than 2010. The medical journal The Lancet officially retracted the paper that initiated the vaccine-autism controversy after the General Medical Council’s decision that the controversy’s originator, Dr. Andrew Wakefield, was dishonest with his proceedings. The retraction means the study will no longer appear in their own and other publications. Lancet editor Richard Horton retracted the paper, published in 1998, after he read the GMC’s findings. People in the science and medicine communities called for its removal before Horton’s decision, but Horton said he lacked evidence until the GMC concluded its investigation Thursday. Horton explains that his journal did the best it could to validate the research by peer-reviewing it, but couldn’t devote the resources to examine every case record or visit every lab. The Guardian‘s story then recaps the original story of the GMC’s findings regarding Wakefield’s study that led him to suggest MMR vaccines playing a role in developing autism in children. The report will add further evidence that no link exists between autism and vaccinations that we know about, but its retraction still won’t repair the damage caused by not vaccinating children. The story is essentially a development that occurred once the GMC made its ruling on Wakefield. However, this update does signal a progression with autism’s biggest controversy of the present. Without any evidence to fall back on, the argument linking autism and vaccines will likely lose some footing. However, this also means another controversy will get an open door to enter. No studies have been conducted regarding the gluten-free autism “diet,” with all evidence coming from anecdotes, and there’s still a lot of questions regarding the prevalence of autism within the Somali community. Ultimately, this story shows that most of us (yes, even autistic people) still have much to learn about autism and its causes. The GMC ruling will help cross one theory off the list…a REALLY LONG list. For that power can influence a large segment of the population. 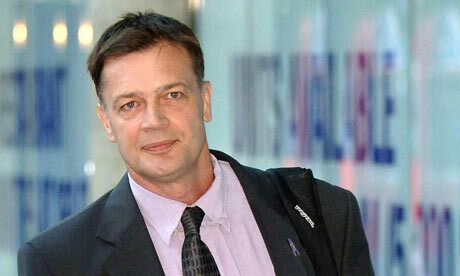 British doctor Andrew Wakefield, the origin of the anti-vaccine movement by suggesting MMR vaccines played a role in developing autism spectrum disorder in children, was accused of dishonesty and irresponsibility last week by the General Medical Council. The Guardian’s story (UK news outlet) reports the GMC accusing Wakefield of conducting unnecessary and invasive tests on children after receiving conditional approval for his hypothesis from the Royal Free committee. The article lists other ethical violations conducted by Wakefield, including tests and procedures that were unnecessary for the study subjects’ health and failing to include details of his studies, such as funding. The GMC will make a ruling in April. If Wakefield is found guilty of professional misconduct, his medical license could be stripped. We’ve already seen the damage caused by supposed the MMR vaccine/autism link, despite several major studies proving the contrary. 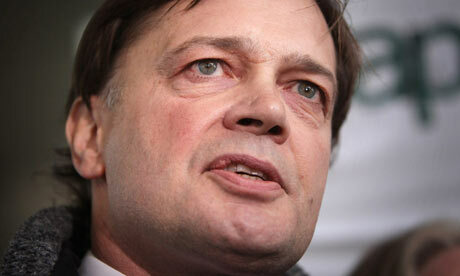 Wakefield’s theory caused a sudden drop in MMR vaccinations in the United Kingdom and a mumps outbreak soon followed. West of the Atlantic, faces of the cure autism movement, including Jenny McCarthy, voice concerns about vaccinations causing autism. Before you brand these people idiots, it’s perfectly healthy to express skepticism in the face of presented evidence (the global warming bombshell during the December Copenhagen summit reminded us of the shortcuts people take to fit their argument). As I mentioned last summer when I talked about a Jenny McCarthy profile article, skepticism makes sure the science is right. Is it surprising Wakefield’s ruling drew many protesters who still support him? When you apply the skepticism argument, hardly. The ruling came 12 years after Wakefield first proposed a link, which left a lot of time to get a movement behind him. Complicating the message is the timing of the MMR vaccine. The shot is administered around 18 months of age for a child, which is also the time symptoms of autism begin to appear in children. With an indisputable cause nowhere in sight, parents or relatives who don’t fully process the situation often point fingers at the most recent event in the timeline, which is very likely MMR or another vaccine. Parents concerned about immunizations often claim their children were developing normally until they received a shot, even though no link has been established. In the short-term, the story got some press in local and national outlets in the United States, but I don’t see a major shift vacating the idea that booster shots and autism share a link. Cable news and online columns contribute to a massive harvest where viewers can pick their interests, tuning out any argument that confronts those viewpoints. Until a cause is found, I expect those behavioral patterns to appear with the anti-vaccine movement inside the autism community. However, the accusations against Wakefield also serve as proof that healthy skepticism is effective; when someone presents a theory that has little to no scientific credence, the drawing behind the theory may not be complete. Going further on the ethical road, we can point to a disease outbreak caused by a decrease in shots in the UK. If a link does exist, is saving a child from a developmental disability worth the risk of contracting a disease that is completely preventable?